BEIJING, Sept. 2 (Xinhua) -- Chinese President Xi Jinping met with Angolan President Joao Lourenco on Sunday ahead of the 2018 Beijing Summit of the Forum on China-Africa Cooperation (FOCAC). Noting that China and Angola have jointly explored a unique path of common development since the two countries established a strategic partnership eight years ago, Xi called for efforts to advance this partnership to a higher level as this year marks the 35th anniversary of the establishment of the diplomatic relations between China and Angola. 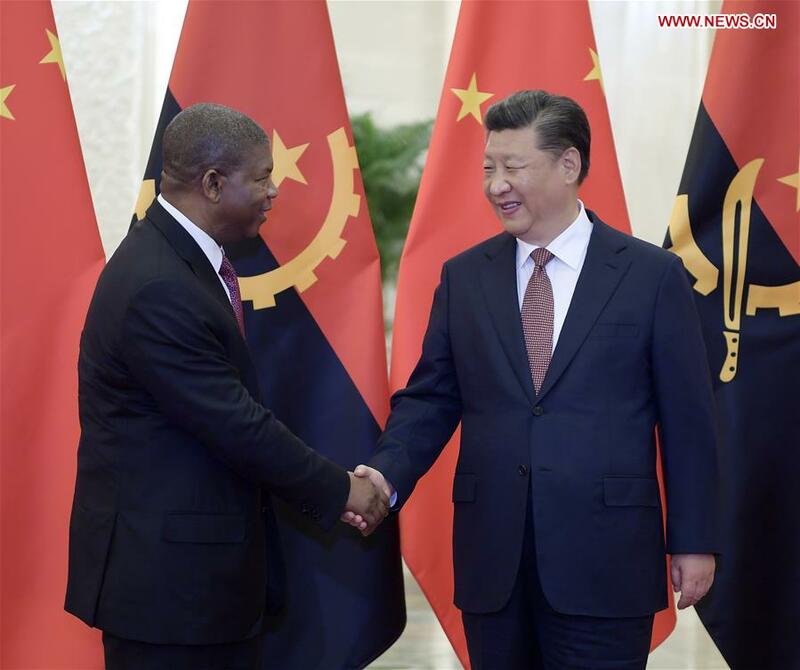 Xi said China stands ready to strengthen ruling party exchanges and governance experience sharing with Angola, deepen cooperation in all areas, and enhance communication and coordination on major international issues. China is willing to align the Belt and Road Initiative with Angola's economic diversification strategy and continues to provide assistance, without political conditions attached, to major projects suitable for Angola's national development strategy, Xi said. Lourenco said Angola-China relations are strong and firm. He thanked China for its contributions to Angola's reconstruction and social economic development, and said Angola firmly upholds the one-China policy. China has always given its precious help when Africa faced difficulties and has been playing a very important role in Africa's peace and development, Lourenco said, adding that African countries highly value their friendship with China and expect to take an active part in the FOCAC development.